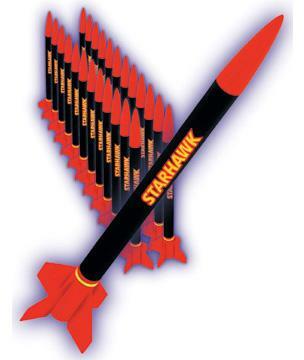 This is the Starhawk Flying Model Rocket Value Pack by Quest. Suitable for Ages 10 & Older with Adult Supervision for Those Under 12. Retail $209.00 SAVE 32% ! Flies up to 500 feet. Plastic Fins for easy assembly.